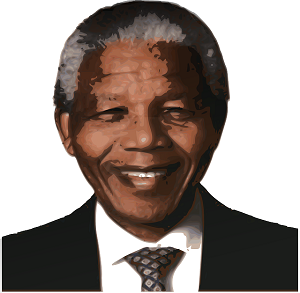 Nelson Mandela Facts: 10 Questions To Test Your Knowledge ! Home/ Art and Culture / People / Nelson Mandela Facts: 10 Questions To Test Your Knowledge ! The great Nelson Rolihlahla Mandela ( 18 July 1918 – 5 December 2013) died at the age of 95 years. He served as President of South Africa from 1994 to 1999 and the first elected in a fully representative democratic election. He dismantled the legacy of apartheid through tackling institutionalised racism, poverty and inequality, and fostering racial reconciliation. Nelson Mandela was the President of the African National Congress (ANC) from 1991 to 1997 and was also Secretary General of the Non-Aligned Movement from 1998 to 1999. Let us check how much you know about Nelson Mandela. Click Start Quiz button to test your knowledge on Nelson Mandela : 10 Questions To Test Your Knowledge ! Where was Nelson Mandela born? Nelson Mandela was give the name Rolilahla at birth. Who gave him the name Nelson? This name was given to him on his first day at school by his teacher, Miss Mdingane. Who did Nelson Mandela share the Nobel Peace Prize with? Where was Nelson Mandela held prisoner? Who did Nelson Mandela live with when his father died? What group did Nelson Mandela help to found in 1944, along with Peter Gombart, Ashley Mda, Oliver Tambo and Walter Sisulu? What day is celebrated as Nelson Mandela Day?